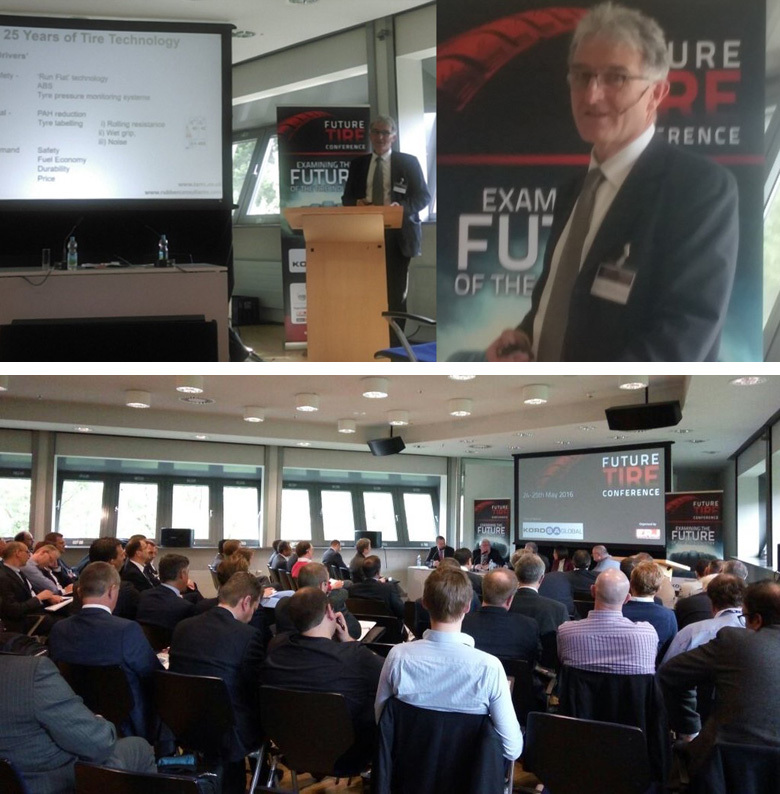 TARRC's Director of Research, Dr Stuart Cook, presented a paper and chaired a session at the very first Future Tire Conference 2016. The conference was organised by the European Rubber Journal and took place during Reifen 2016 in Essen, Germany from 24th-25th May 2016. The conference focussed on current trends that are shaping the future of the tire industry. Dr Cook's session was in the afternoon of day two: 'Designing and developing the green tire of the future'. Dr Cook said, 'I was pleased to be a part of this first Future Tire Conference which I feel was well received by the delegates. The format of the sessions with a panel of speakers provided a great opportunity for interaction, exchange of views and lively debate'.